Your boat is a significant investment and to protect this investment and provide reliable leisure time aboard, servicing and maintenance is key. Generally your boat should be lifted every year to change her anodes, check propeller shaft bearings, rudder bearings and skin fittings. This is also the most convenient time to undertake any antifoul work required. Our state-of-the-art hardstand and 50 tonne travel lift, ensure we are well-equipped to undertake all boat maintenance at your convenience, and at a price that’s right for your budget. We service and antifoul hundreds of boats from Sydney, Pittwater, Broken Bay and the Hawkesbury annually - ranging from runabouts to the larger sail and motor yachts. Our high level of repeat business gives us the ideal opportunity to undertake continual evaluation of our antifoul products and boat maintenance procedures. We have sought out and engaged the best service providers in the marine industry to provide our clients with convenience, service, reliability and confidence when undertaking the maintenance of their boats with shipwrights, marine electricians, boat trimmers, marine mechanics, marine painters, and detailers all located on-site. Your boat is a significant investment. To protect your investment and provide reliable leisure time aboard, servicing and maintenance is key. Generally your boat should be lifted every year to change her anodes, and to check propeller shaft bearings, rudder bearings and skin fittings. This is the most convenient time to undertake any antifoul work required. 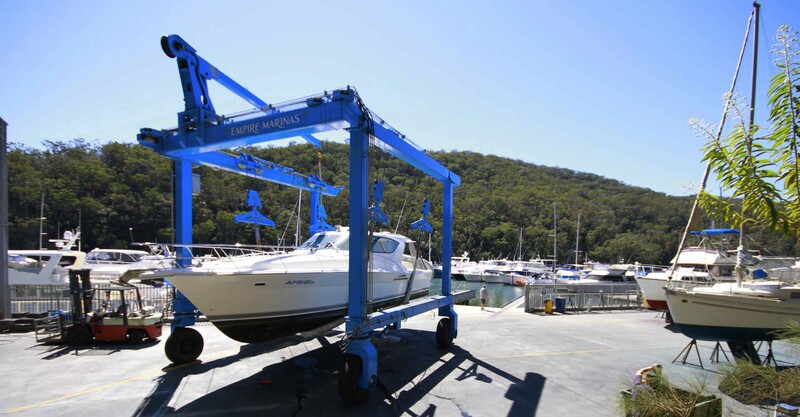 Empire Marina Bobbin Head, Sydney has a state-of-the-art hardstand and 50 tonne travel lift, ensuring we are well-equipped to undertake all boat maintenance at your convenience, and at a price that’s right for your budget. At Empire Marina Bobbin Head, Sydney we service and antifoul hundreds of boats from Sydney, Pittwater, Broken Bay and the Hawkesbury annually - ranging from runabouts to the larger sail and motor yachts. Our high level of repeat business from all around Sydney gives us the ideal opportunity to undertake continual evaluation of our antifoul products and boat maintenance procedures. 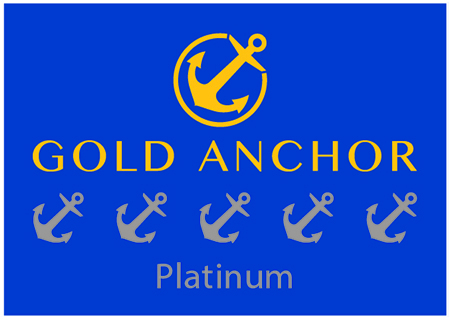 Our antifoul service is available to boat owners throughout Sydney. To arrange your antifoul simply email john@empiremarinas.com.au or call 02 9457 9011. Specialising in all marine engines, generators, hydraulics and stabilisers. Specializing in all types of shipwright repairs and modifications including teak decks, keel and rudder work, winch servicing, timber work, rot repairs, toilets, holding tanks and stainless steel work. Specialists in marine electrics and electronic repairs and installations. Specialising in all boat trimming, marine carpet, upholstery and repairs. Specialising in high quality finishes on wooden, fibreglass and carbon fibre boats including metallics and metallic blends, interior and exterior resprays, paint repairs, gelcoat repairs, clear coating and colour matching. Eat in by the water, or take it away. Fresh roasted coffee always available. Licensed. Great venue for special occasions. Bottle Shop. Your first point of call for when your boat needs a make-over. Offering a full range of services including: Cleaning & Detailing, Upkeep & Maintenance Programs, Gelcoat Restoration, Carpet & Upholstery Cleaning, Interior & Engine Room cleans, Pre-sale Detailing, and Leather Cleaning/Conditioning.